WASHINGTON, D.C. - U.S. Senator Pat Toomey (R-Pa.) announced today that he is co-sponsoring a bipartisan bill, the EPA Regulatory Reform Act of 2011, introduced today. The bill will give the Environmental Protection Agency the time it has said it needs to adequately consider new Boiler MACT rules, as well as make additional regulatory reforms. In April 2010, pursuant to court orders, EPA first announced new Maximum Achievable Control Technology (MACT) regulations on many fossil fuel and biomass-fired boilers in the United States. The original public comment period on the new proposed rules closed Aug. 23, 2010. In December 2010, EPA requested a 15-month extension to rework and finalize the rule, and to receive further public comment, which was rejected by a court. Give EPA the 15 months it requested to re-propose and finalize the Boiler MACT regulations. Extend compliance deadlines from three years to at least five years, which would allow facilities adequate time to comply with the new standards. This additional time will give manufacturers the ability to spread out the costs associated with compliance. Clarifythat renewable and carbon-neutral materials remain classified as fuel and not solid waste. This will ensure that no materials are unnecessarily landfilled and that the energy content of many byproducts is not wasted. Direct the EPA to ensure that the new rules are achievable by real-world boilers, process heaters and incinerators, and impose the least burdensome regulatory alternatives consistent with the president's executive order. The EPA's original standard for boilers was not achievable by any commercially available boiler. "I have been very worried about what the EPA's new Boiler MACT rules will mean for Pennsylvania's manufacturing companies and their employees," Sen. Toomey said. "From paper mills, to steel mills, to many other industries, there are thousands of jobs at stake in Pennsylvania. This bill would give many manufacturers immediate relief from overreaching, burdensome regulations at a time when we need them hiring and expanding." The bill is sponsored by Sens. Susan Collins (R-Maine), Ron Wyden (D-Ore.), Lamar Alexander (R-Tenn.), Mary Landrieu (D-La.) and Mark Pryor (D-Ark.). In Pennsylvania, these new EPA standards would affect a number of the commonwealth's manufacturing companies and could have a devastating effect on the Pennsylvania economy. 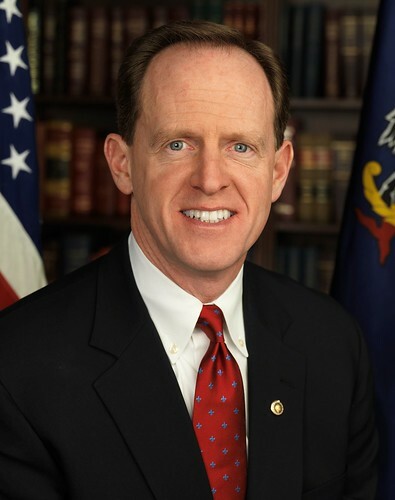 Sen. Toomey and his staff have been working closely with a number of major Pennsylvania employers, including PPG Industries, Appleton Papers, Glatfelter Paper, U.S. Steel and Domtar Paper to help alleviate these regulatory burdens. "We appreciate Sen. Toomey's engagement and willingness to work across the aisle on this matter. The senator's work on behalf of our 464 employee-owners in Roaring Spring has been integral to addressing this regulatory burden," said Kent Willets, vice president for strategic development at Appleton Papers in Blair County. "This bill will give us regulatory certainty and predictability. Domtar appreciates Sen. Toomey's bipartisan leadership on this issue and we look forward to working with him to protect the jobs at our facility in Elk County," said Tom Detwiler, vice president and mill manager of Domtar Paper in Elk County. "As our nation recovers from a deep recession it is more important than ever for government to protect our environment in a thoughtful and realistic way. This bill is an important step in that direction; we appreciate Sen. Toomey's understanding of the issue and his effective advocacy for Pennsylvania businesses," said William T. Yanavitch II, vice president of human resources and administration of Glatfelter Paper in York County. "Sen. Toomey promised to push back against excessive regulation, and we commend his bipartisan efforts to help our manufacturing facility in McKean County," said Brad Johnston, chief administrative officer of Temple-Inland in McKean County. WASHINGTON, DC- Today, U.S. Senator Bob Casey (D-PA) and the U.S. Department of the Treasury announced that four Pennsylvania community banks received $19 million through the Small Business Lending Fund (SBLF). There are over 275,000 small businesses in Pennsylvania that employ over 3.2 million people. The Senator announced the funding on a call with Don Graves, Deputy Assistant Secretary for Small Business at the U.S. Treasury Department. The SBLF was established as part of the Small Business Jobs Act (SBJA) which Senator Casey fought hard to enact and the President signed into law on September 27, 2010. The SBJA encourages community banks to increase their lending to small businesses, helping those companies expand their operations and create new jobs. Small businesses play a critical role in the U.S. economy and are central to growth and job creation. Small businesses employ roughly one-half of all Americans and account for about 60 percent of gross job creation. But small business owners faced disproportionate challenges in the aftermath of the recession and credit crisis, including difficulty accessing capital. The SBLF helps small businesses meet this challenge by providing capital to community banks that hold under $10 billion in assets. The dividend rate a community bank pays on SBLF funding is reduced as that bank increases its lending to small businesses – providing a strong incentive for new lending to small businesses so they can expand and create jobs. WASHINGTON, DC – U.S. Senator Bob Casey (D-PA) today expressed support for Pennsylvania’s intent to apply for federal grants to support child care and early learning programs. Senator Casey pushed for the creation of the competitive grant program to strengthen early learning in Pennsylvania and across the country. Pennsylvania has expressed its intent to apply for funds from the Race to the Top – Early Learning Challenge program, a $500 million grant program jointly administered by the Departments of Education and Health and Human Services (HHS). In May, Senator Casey sent a letter to the Department of Education and HHS encouraging them to put substantial money toward a competitive early learning grant program prioritizing early childhood education and child care. Senator Casey has introduced legislation to establish an Early Learning Challenge Fund. The Supporting State Systems of Early Learning Act (S.470) would establish a fund to help states build and strengthen systems of early learning so that more low-income children have access to high-quality early learning and development opportunities that prepare them for success in school and beyond. Senator Casey has also introduced the Prepare All Kids Act (S.1156) to assist states in providing at least one year of high quality pre-kindergarten to children, as well as the Starting Early, Starting Right Act (S.1155), which would reverse chronic underfunding of child care, improve the quality and increase the availability of child care to children in low-income and working class families. PHILADELPHIA, PA – U.S. Senator Bob Casey (D-PA) today announced Community Development Financial Institutions (CDFI) funding for financial institutions in Pennsylvania to help local communities provide access to capital and create jobs. Neighborhood Housing Services of Lackawanna County received $95,262 and MetroAction Inc. received $100,000. Senator Casey made the announcement today at 30th Street Station in Philadelphia. Pennsylvania received the 3rd largest number of awards and 3rd highest dollar amount in the nation. The Community Development Financial Institutions (CDFI) Fund is under the United States Department of Treasury. The CDFI Fund's mission is to expand the capacity of financial institutions to provide credit, capital and financial services to underserved populations and communities in the United States. Senator Casey made the announcement today at 30th Street Station in Philadelphia. Pennsylvania received the 3rd largest number of awards and 3rd highest dollar amount in the nation. Senator Casey urged the CDFI to prioritize Pennsylvania communities in need. 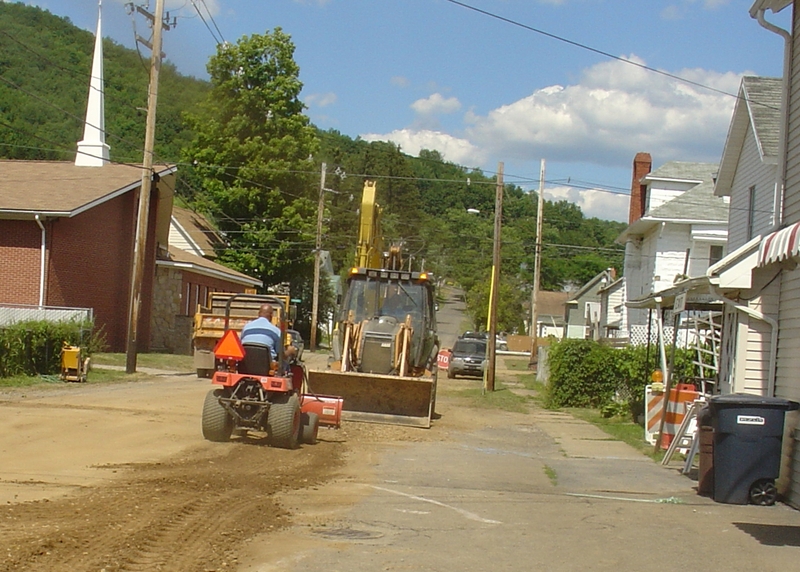 SMETHPORT—McKean County Commissioners breezed through a short agenda Tuesday morning, one week later than the usual meeting date, handling mostly routine matters. A Community Conservation Partnerships Grant project was closed out, having been completed according to plan. The program had called for preparation of a master plan and trail study for the county government complex and the McKean County 4H and Fairgrounds area. 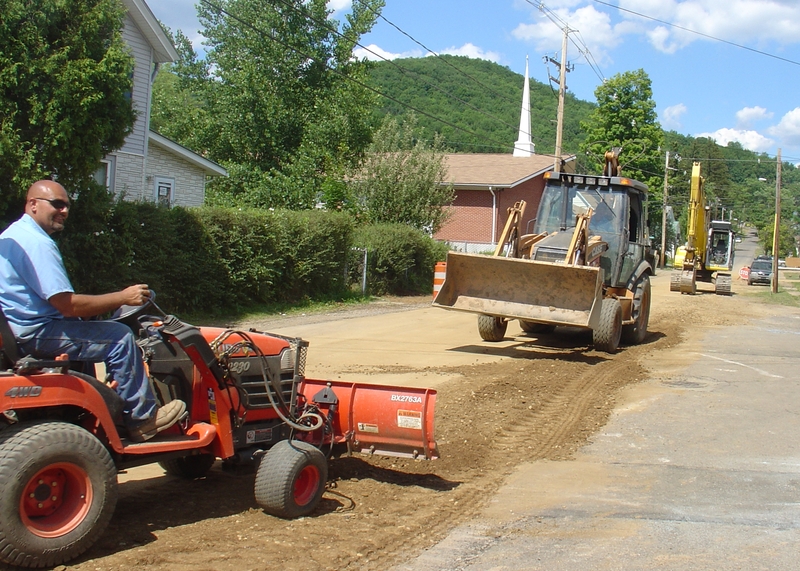 The stated purpose of the master plan is to provide a framework for the continued renovation and development of the target areas and for trails in the Smethport area. The projects were financed in part by the grant in a program administered by the Pennsylvania Department of Conservation and Natural Resources, Bureau of Recreation and Conservation. The commissioners voted to enter into an agreement with the Pennsylvania Emergency Management Agency (PEMA) for the Emergency Management Performance Grant Program (EMPG) for fiscal year 2011. The $78,809 funding is earmarked for reimbursement of salaries and benefits for the county’s Department of Emergency Management. A maintenance agreement covering a Human Resources Department copier was approved. It calls for Karpinski’s Office Systems, Coudersport, to provide service, parts and toner for $390 a year. Melanie Clabaugh was appointed to the McKean County Industrial Development Authority to finish the term of Connie Grentz, former president, who has moved from the area. The term expires at the end of this year. Clabaugh has been executive director of the Kane Area Chamber of Commerce, Kane Area Industrial Development Council and the Kane Area Development Center. The commissioners said Grentz will be sent a letter expressing their appreciation of her dedicated service. Ceres Townships application for $5,607 in aid, for a road paving and seal coating project, was approved. In a brief discussion of upcoming actions, the commissioners noted that they will seek bids for an older model farm tractor that is no longer in use, and will make preparations to effect repair of the “back patio,” behind the Court House. LIBERTY VILLA—The Agility program is working well in Liberty Township, supervisors agreed at their monthly meeting Tuesday night. The township currently has an agreement with PennDOT under which the township is a PennDOT Agility Partner, collaborating with the state agency on various tasks relating to state and township highways. As supervisors Gary Turner, Charles Safford and Fred Ernst Jr. explained the arrangement, the township crew mows along state highway guide rails, and state equipment and labor will be applied in some township road tasks. Work plans for the reciprocity are reviewed and updated from time to time. The Western New York and Pennsylvania Railroad recently provided an important boon to the township, supervisors said, by donating six pieces of rail, cut to length, and help loading the hefty steel onto township trucks, in Emporium. The rails will be driven into the ground to help retain abutments of the Cady Hollow Bridge, to stabilize it until the bridge can be replaced. The supervisors will continue to study a proposed ordinance concerning retaining tanks in connection with the use of portable toilets. The ordinance was furnished by an attorney, Matthew Wolford, who is said to represent energy company PGE, which utilizes portable toilets at drilling sites. Supervisors were not pleased that sanitary control officer Roger Bickleman had not been consulted. Also, a communication from Wolford sounded to the supervisors like a protest of the fees charged by the officer, a matter the supervisors said was not theirs to control. Also, what Wolford was proposing might prove to be an undue burden to such groups as the Allegheny Mountain Engine and Implement Association, at its annual show. So far the supervisors are not impressed by the “Marcellus Shale impact” bill getting the most buzz, they said. Turner said he did not see it as a panacea for local governments. Moose Lodge 460 appreciates the work the township crew did at the nearby site along Route 155 south, where old and damaged American flags will be disposed of with proper respect. The organization had written to the supervisors to thank the township for brush cutting and neatening up the area. For its part, the township would like to offer a potential Eagle Scout or other community service project to an individual or a group, as a way to get the township’s “Big V” snowplow painted. The supervisors envision supplying the paint for whoever would apply it to the large snow plow. The township name would be on the door or doors. The volunteer individual or group’s identity could be painted on the front. Would there be any pay involved? “Pizza,” the supervisors said. A draft personnel policy apparently prepared in an earlier administration and recently found in the township office, will be reviewed by the supervisors, with an eye to making any changes deemed necessary, then considering its adoption. Currently the municipality has no personnel policy in place. It was reported that Mr. and Mrs. Greg Law had sent another letter to the township, even though they have been told the township will not maintain or plow the private road to their camp in the Scaffold Lick area. “What part of ‘We do not maintain private roads’ don’t they understand?” Ernst asked rhetorically. The supervisors noted that they have had requests from a number of property owners and residents for snowplowing or other service to their private driveways, and the answer is always that the township cannot use its resources in that way. The supervisors took note that the necessary permissions are in order, for the Charles Estate one-lot subdivision. Dr. Phong Nguyen has joined the medical staff at Charles Cole Memorial Hospital. Specializing in anesthesiology and interventional pain management, Dr. Nguyen earned a medical degree at Lake Erie College of Osteopathic Medicine, completed an internship at Heart of Lancaster Hospital, a residency at Pontiac Osteopathic Hospital where he was named chief resident, and a fellowship in interventional pain management at Michigan State University. He is a member of the American Society of Anesthesiology and American Society of Regional Anesthesia. ...free for the reading...every week! 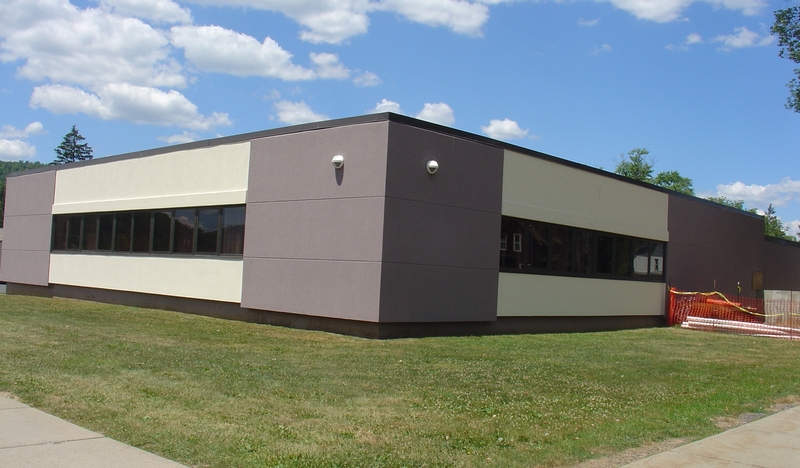 The Port Allegany area’s “youngest” organization, SWAMP, is planning an open house at its main program site, the teen center at 6 North Main Street, from 7 to 9 p.m. Thursday, July 22. 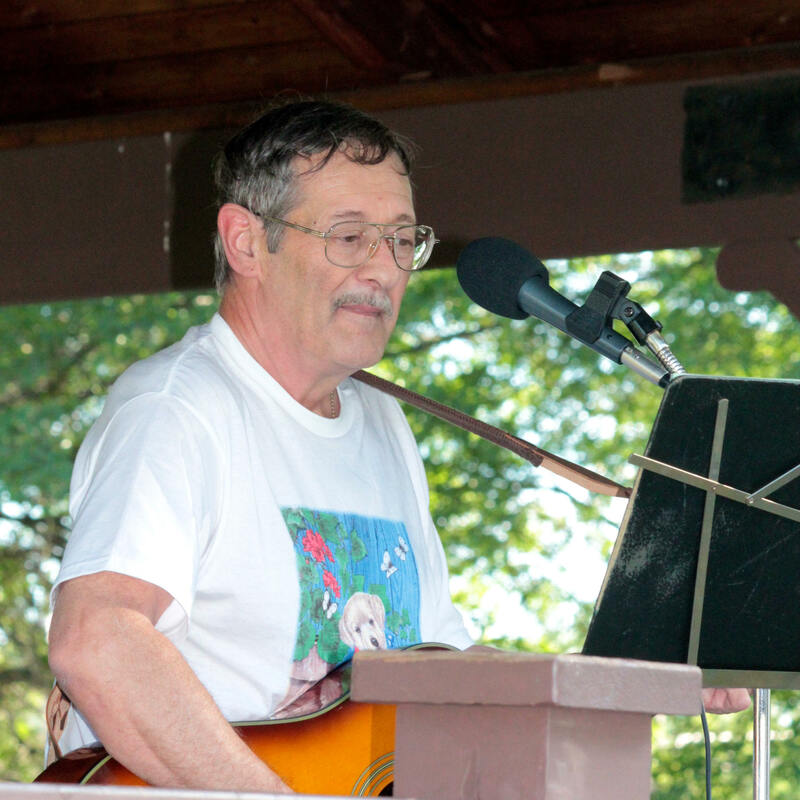 The open house will welcome residents of the greater Port Allegany area, of all ages, to see what the group has been doing, with the aid of its sponsors, since beginning to organize just months ago. SWAMP’s flagship project is operation of the teen center, in the former barber shop location in the south block of the business district. The teen center is for area youth in grades 7 through 12. It is the locus for a variety of fun activities throughout the summer, and will also be open on a different schedule during the school year. There will be educational services as well, after the school term starts. The teen center provides a clearing house for summer jobs, including part-time or occasional chores. Teen workers are available for yard care and other odd jobs, errands and child care. SWAMP seeks additional sponsors and financial support from community members, individuals, organizations and businesses, to meet the approximately $500 monthly overhead to keep the teen center going, according to adult advisors. A spokesperson said that amount would cover rent and utilities. 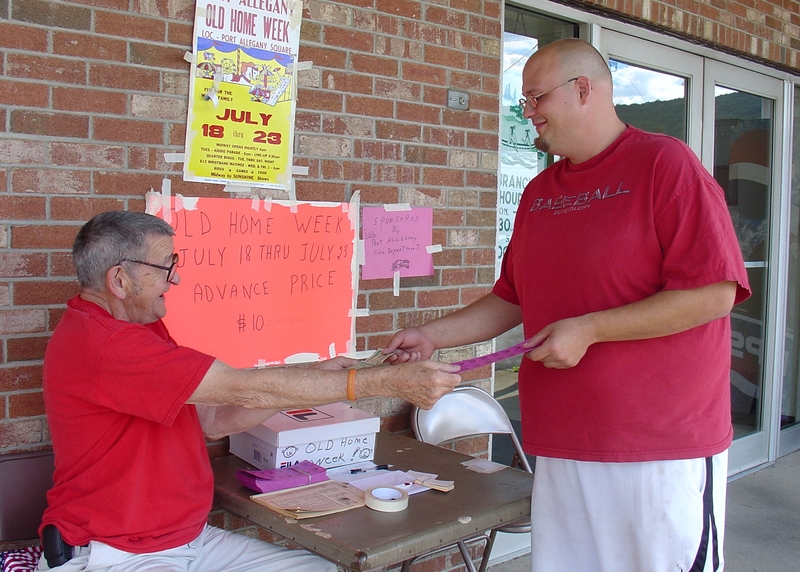 Other expenses are met through the group’s fund raising events and sales efforts. Those interested in SWAMP, its programs or helping the organization may call 642-2223. SWAMP is an acronym for Success With Achievement, Motivation and Preparedness. Dedication Planned - Port Allegany Moose Family Center #460 will dedicate their new Flag Memorial on Route 155 South, at Moose Park. The ceremony will begin at 2:00pm on July 30 and the public is invited to attend. Rotary Cleans Up - The local Rotary Club took their turn at the clean-up of the flowers and greenery located around the gazebo. Pictured are Joe DeMott and George Baxter. This annual project helps to keep that area of the Town Square looking it's best. Other groups also take turns at this task. Rotarians then went to the Moose Family Center for food and fellowship. Today's meeting will be held at noon at the Moose Family Center with Marty Moses serving as Program Chair for the day. 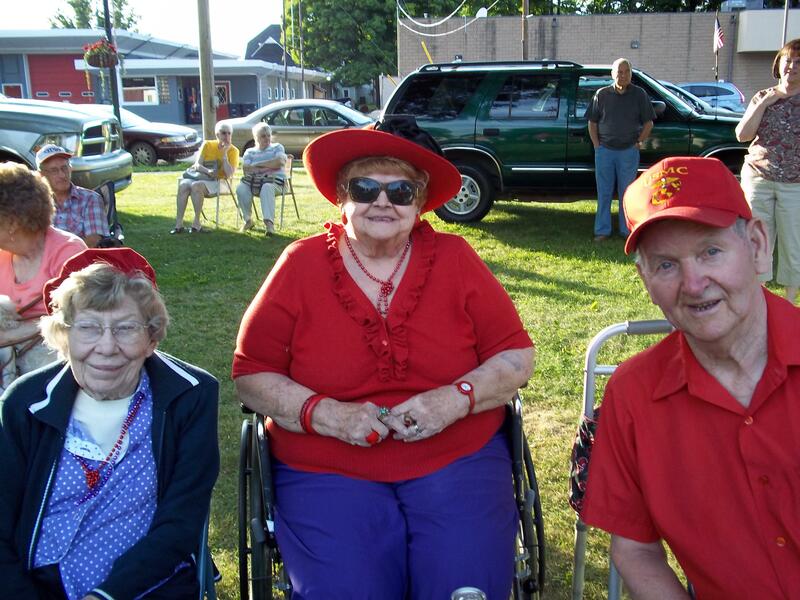 Rotary Report - Rotarians cleaned up around the gazebo Thursday evening, July 14. There were 14 members present for a reportable attendance of 47 percent. 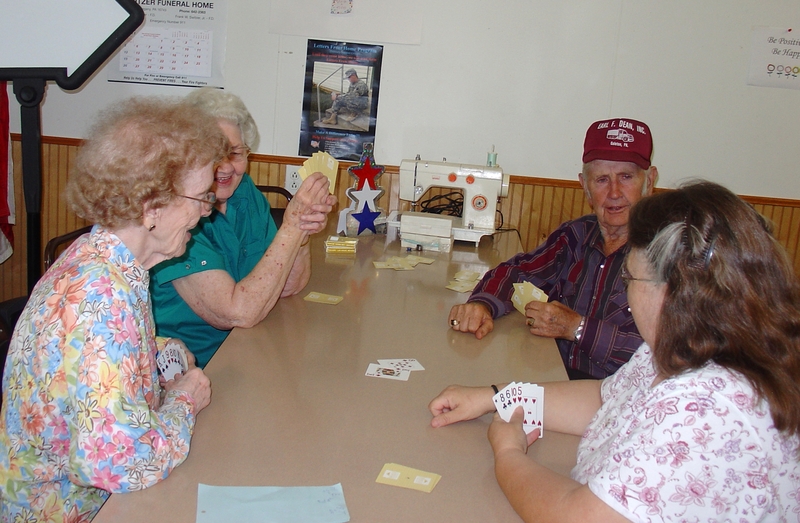 Upcoming program chairs include Marty Moses on July 21; Norm Preston, July 28; Club Assembly, August 4; George Baxter, August 11, Jim Plotts, August 18 and the District Governor will visit on August 25. The Club will sponsor a food booth for the annual Port Allegany Car Show to be held August 6 on the Town Square. Christa Schott will chair that event.